Yahoo has launched a new iOS application designed to make it easier to sift through the enormous list of available apps to find the ones users might be interested in. While Apple’s App Store and Google’s Android Market let you sort by category or search by name, Yahoo goes a few steps further by offering tools that make it easy to find apps if you don’t know the name or even what you’re looking for in the first place. The home screen features top picks in a few categories such as Entertainment, Games, and Music. You can tap any of the featured apps to view screenshots, a description, reviews, and a link to related apps. The download button will take you to the App Store or Android Market. You can also click the category name to see a list of free, paid, or all apps in that category. But things get really interesting when you start typing in the search box at the top of the screen. You can search by category, name, or description such as “kids games.” As soon as you start typing, search results will appear with apps matching your query at the top of the screen, followed by suggested searches. 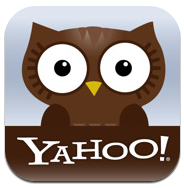 Yahoo AppSpot is available as a free download from the App Store and Android Market. 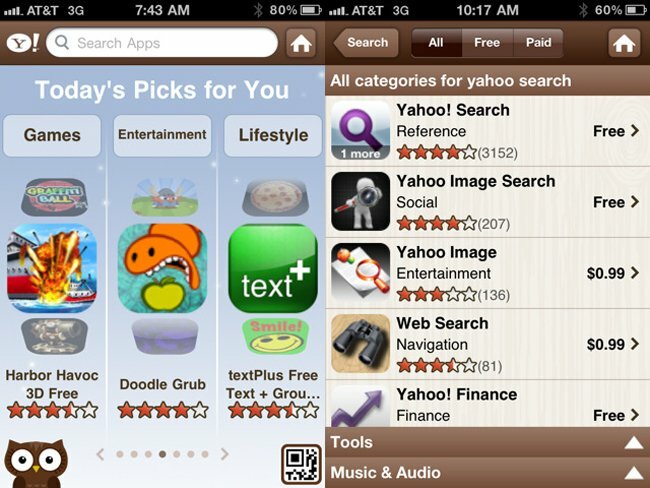 Yahoo also offers a web-based version of its app search engine.